You don’t have to open Facebook Messenger to talk to your best friends. Instead, you can pin shortcuts to your homescreen to open your conversation window directly. 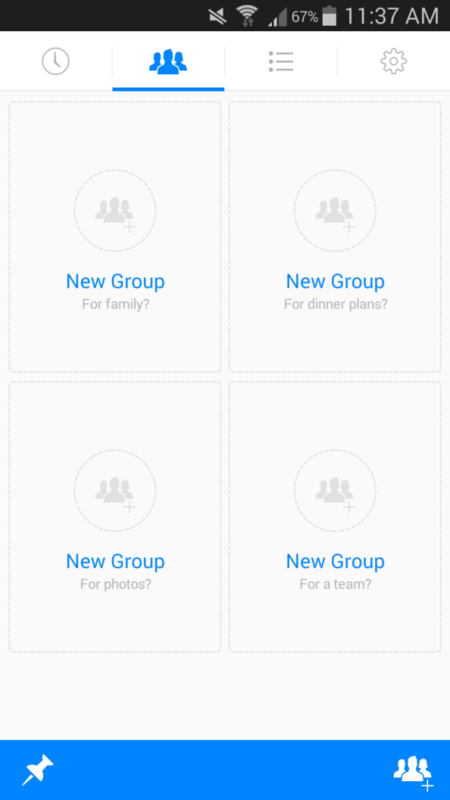 To do that, open Facebook Messenger, go to the Groups tab, and create a group of your best friends. Then, tap the “pin” button in the bottom left corner of your screen to pin that group shortcut to your homescreen. Facebook recommends creating a group for your friends, family, coworkers, etc. If you find yourself using Messenger a lot to talk to a few friends, then this shortcut can save you a lot of time. One of Messenger’s weird permissions is that it requests access to your camera to take pictures and video. That sounds ominous, but the permission is likely only there because Messenger lets you take pictures and videos directly from the messaging window. To do that, simply open a conversation window and tap the “camera” button. A small viewfinder window pops up. You can switch between your front and back cameras with a tap. It’s important to note, however, that you don’t get to confirm your picture after it’s taken: once you press the capture button, Facebook sends that picture immediately to your contact. If you’d rather attach pictures that are already on your storage device, then tap the ‘Gallery’ tab immediately to the right of the camera button. Does a simple “Thumbs up” seem rude? Do you need something a little more excessive? If so, then we recommend holding down the “Like” button to create a gigantic thumbs up. 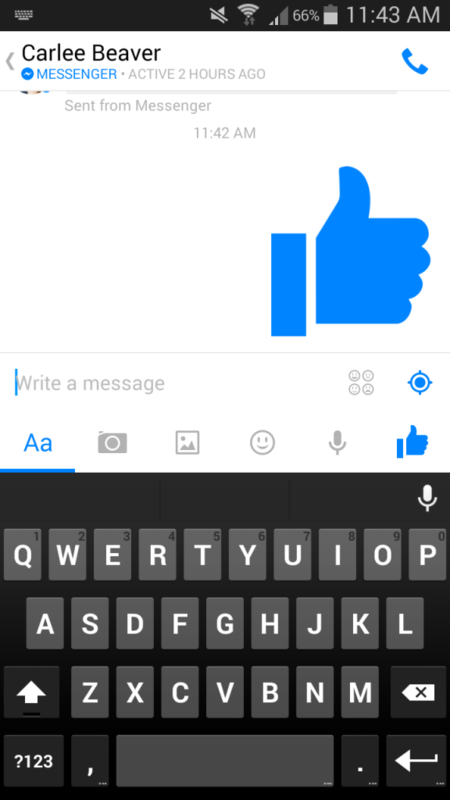 Suddenly, your little thumbs up button turns into a massive thumbs up button. Yay! This tip is accompanied with a cool animation, and once the thumb reaches maximum size, it starts to vibrate like it’s out of control. 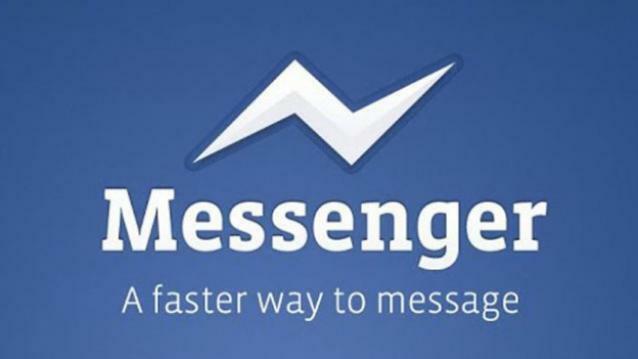 Facebook Messenger tracks your location by default. Unless your friends have turned off location sharing, you should be able to see where they are when they message you. To do that, go to any conversation window and tap the “settings” button (on your phone or the in-app ‘three dots’ button). 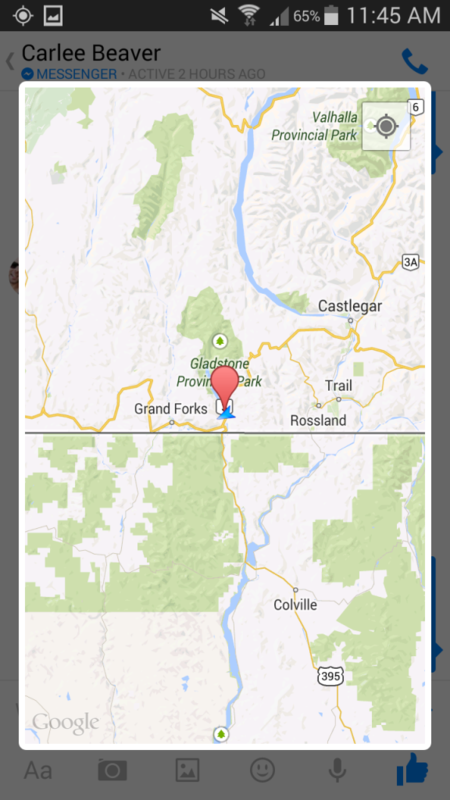 Then, tap “View Map”. You can see your location and the location of your friend. Of course, if you don’t want Facebook to spy on your location and sell that information to advertisers, then you should probably disable location sharing. You can disable that setting under the Settings box. One cool feature about Facebook Messenger is that you can call any of your contacts for free over Wi-Fi in any country. 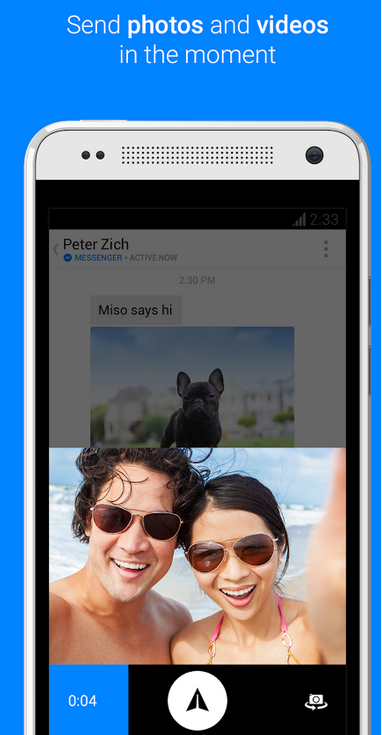 Just like FaceTime Audio is natively included in all iPhones, Facebook Messenger now includes free VoIP calling on all devices. At first, this feature was only available in the United States, Canada, and the UK. But now, it’s available in all countries.